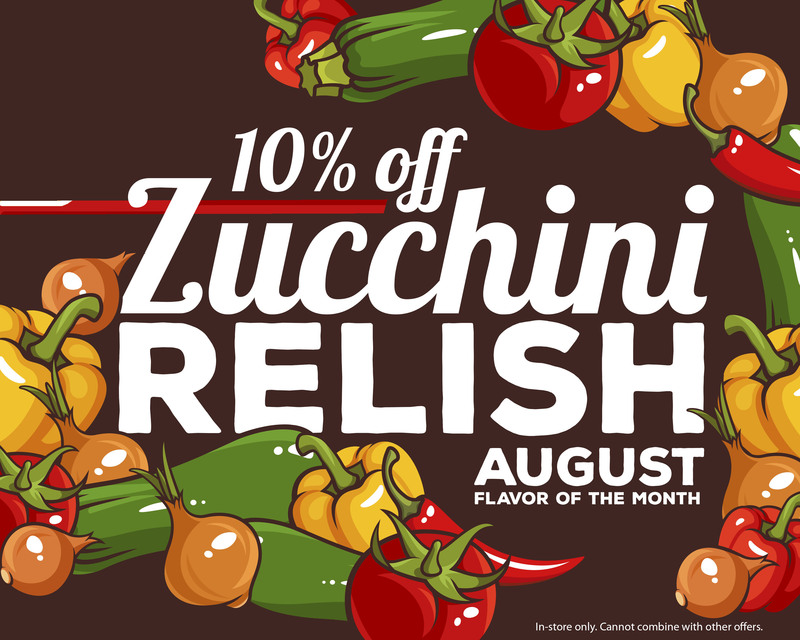 Z is for Zucchini Relish: August’s Flavor of the Month! This tasty treat is delicious used as a substitute for ordinary pickle relish. Just throw some on a hot dog or bratwurst or maybe get creative and put it in your favorite macaroni salad! You can order this delicious treat online at http://www.coopers-mill.com. ← Let your toast take a dip in a tropical delight!